If you want nothing but the finest organic produce, meat, fish, and groceries, go with Abel & Cole. This delivery service never compromises on the quality and freshness of its products and allows you to eat healthily without any effort. Its offer is incredibly rich and includes all kinds of organic products, but in this Abel & Cole review, we will focus on its excellent recipe boxes for people interested in healthy and delicious home-cooked meals. 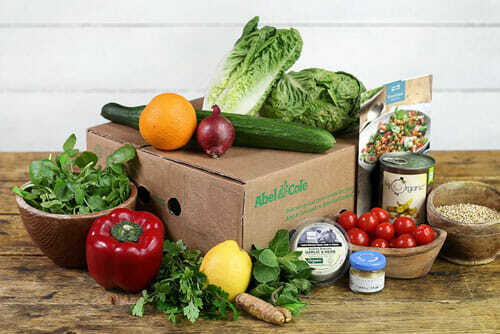 Abel & Cole is an organic delivery service that provides recipe boxes featuring fresh, natural ingredients and meal ideas for various tastes and cooking styles. Apart from the recipe boxes, you can get all kinds of groceries, ranging from meat to drinks. For the past 3 decades, Abel & Cole has been a synonym for quality. It is a one-stop shop for all your dietary needs and its focus on organic products makes it a smart and convenient choice for a proper diet. Its recipe box subscriptions are perfectly flexible and never force you to order more food than you need. In contrast to most meal kit services on the market, Abel & Cole does not impose unnecessary limitations on the number of recipes you can order, the number of people you can cook for, and the kind of meals you can opt for. The entire menu is at your disposal and the recipe boxes in your deliveries can differ in the number of servings they include. You can enjoy both vegan and carnivore dishes or both pescatarian and vegetarian meals, as the service does not limit your choice to only one diet but allows you to enjoy the benefits of all diets that suit your needs. Although Abel & Cole does not exclusively specialize in recipe boxes, its meal kit offer is superior to that of many meal-kit-only deliveries. 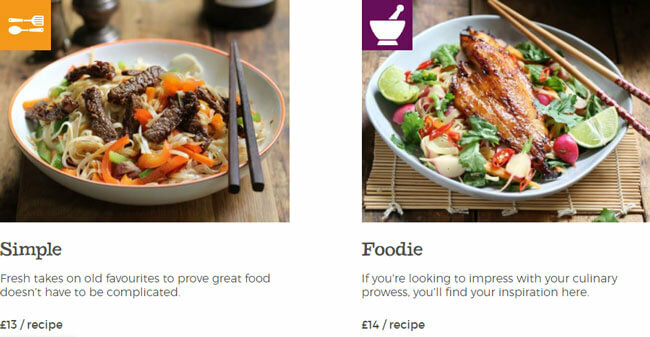 That is why we have included it into our list of the best meal kit services in the UK. We consider its selection of high-quality groceries to be a nifty bonus that only makes it a more worthy choice for home cooks who want to eat healthily. Every week, Abel & Cole comes up with 15 new recipes, each serving 2 people. You can order as many different recipes as you wish and have them delivered to your home along with the ingredients they require. The minimum order is 1 recipe. The meal ideas on the menu are divided into 4 categories, based on the cooking and dietary preferences they satisfy. The categories include Foodie, Light, Simple, and Speedy recipes. While all the menu items yield 2-servings by default, that does not mean that you cannot cook for more people. You can increase the number of portions per dish by increments of 2. There is no upper limit, so you can easily host a dinner party whenever you wish. For added convenience, the service allows you to adjust your delivery schedule to suit your needs and plans. You can choose whether you want your boxes delivered every 1, 2, 3, 4 or 8 weeks. If you are going on a holiday, you can simply skip the deliveries scheduled for the dates when you are away. You can also end your subscription at any time, as you are not bound by a contract of any sort. For the past 3 decades, Abel & Cole has been a synonym for quality. It is a one-stop shop for all your dietary needs and its focus on organic products makes it a smart and convenient choice for a proper diet. The main difference between Abel & Cole and other services of this kind is that it exclusively offers organic, ethically sourced ingredients. You never have to worry about the origin of the food you eat and wonder whether it is good for you because Abel & Cole makes sure that everything you get is as healthy as it can be. 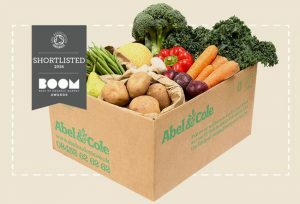 As we have mentioned before in this Abel & Cole review, this service does not only provide excellent recipe boxes but allows you to stock up on all things organic. You can purchase fruit, vegetables, salads, fresh herbs and spices, meat, fish, seafood, dairy, eggs, bakery goods, drinks, alcoholic beverages, and various items for your pantry and household. 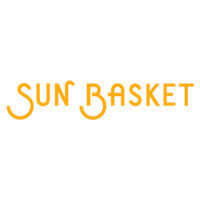 It also offers a variety of vegetable, fruit, meat, fish, and juicing and smoothie boxes. As an Abel & Cole customer, you get to enjoy great perks. For example, you get a free cookbook delivered in your first box and the 4th box you order is free of charge. 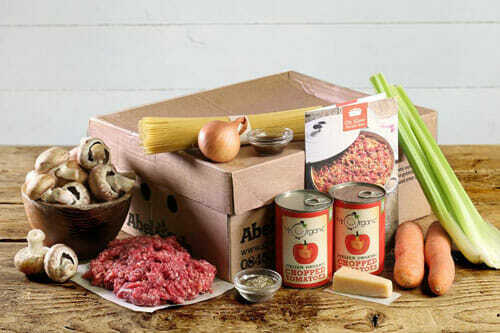 Abel & Cole recipe box can be bought as a gift, as long as the recipient lives within the service’s delivery area. Previously in this Abel & Cole review, we have said that this service offers 4 types of recipes, including Foodie, Light, Simple, and Speedy. Now we will explore each one of them in more detail. Light recipes are always quick and easy and they are designed to make you feel more energized. Each meal in this category has fewer than 500 calories while containing all the valuable substances your body needs to function perfectly. Foodie recipes are particularly suitable for those who love gourmet food and home cooks who want to wow their dinner guests. They include exotic and unique dishes that allow you to hone your cooking skills and explore new flavors. Simple recipes are designed for people who like familiar tastes and classic dishes but also enjoy creative twists on well-loved favorites that can make dinner time more exciting and fun. Speedy recipes are the quickest solutions on the menu and they minimize everything from prep time to cleanup. They are normally ready in 20 minutes and use no more than 7 ingredients. In general, Abel & Cole meals take 20 to 60 minutes to make. Since there are no pre-defined meal plans, you can mix and match recipes from different categories and enjoy carnivore, pescatarian, vegan, and vegetarian dishes or any combination of those. Usually, there are 4 vegetarian, 3 vegan, and 3 pescatarian recipes on the menu while the remaining meal ideas are mainly suitable for carnivores and omnivores. Abel & Cole recipe boxes are individually priced. The cost per plate does not vary significantly and generally ranges from £6.00 to £7.00. 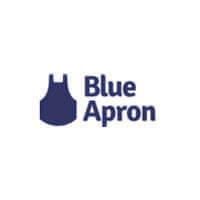 The service does not offer quantity discounts and the price is the same whether you order 1 or 15 recipe boxes. Shipping does not come free of charge. However, the company does plan the routes carefully in order to minimize carbon emissions and the number of miles your food travels, so this smart shipping plan allows it to charge just £1.25 per delivery. As far as ordering limitations are concerned, there is a minimum order value. However, it is nothing to worry about since it is £12, which is not higher than the price of any of the boxes. Abel & Cole does not deliver to all addresses within the UK. Its delivery map is limited to England and certain parts of Wales. However, it is important to emphasize that even within England, the service does not deliver to all areas, such as Cornwall. Check whether your address falls within Abel & Cole’s delivery area by entering your postcode in the FAQ section of the website and choosing the question: Do you deliver to my house? The delivery day depends on the location. The company only delivers once per week to every area it covers. Deliveries do not always come at the same time, but you do not have to be at home to receive your box, so this should not be a problem. To make sure Abel & Cole meets all your standards and expectations, it is important to know its biggest advantages and disadvantages. 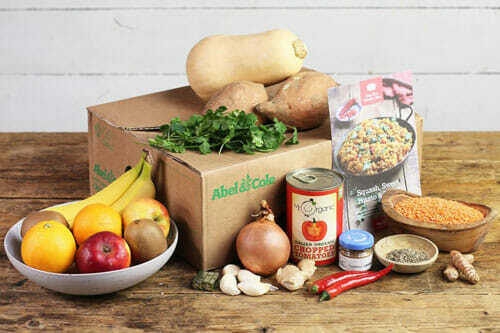 With a short overview of its pros and cons, you can easily decide if Abel & Cole is the right meal kit service for you. If you subscribe to Abel & Cole, you can easily prepare culinary masterpieces using only the ingredients and recipes found in your meal kit box. You may not be a pro chef just yet, but with Abel & Cole, you can easily make restaurant-grade meals. You don’t have to take our word for it – check out the images below to get a better idea of the types of dishes you can enjoy with Abel & Cole. Abel & Cole is an excellent delivery service for individuals who want to maintain a healthy, balanced diet and focus on organic ingredients. Its recipe boxes make it easy to plan your meals and introduce more variety into your diet. The subscriptions are flexible, the prices are moderate, and although delivery is not free, the shipping fee is rather low. Whether you are a vegetarian, a gourmet, a fan of classic dishes or you like to keep your meals light, you have much to look forward to if you choose to subscribe to this service. Is Abel & Cole organic? Nearly all that the company offers is organic. However, there are items that cannot be officially certified, such as sea-caught fish and foraged food. All of Abel & Cole organic produce is clearly labeled on the company’s website. Who owns Abel & Cole? William Jackson Food Group, a British food manufacturer, acquired Abel & Cole in 2012. What are the delivery times with Abel & Cole? The company only delivers once per week to every area it serves so your delivery day depends on your location. Deliveries are made anywhere from early morning to late afternoon. You do not have to be at home to receive your box. What is the delivery charge with Abel & Cole? Shipping is not free, but it is cheap. Customers pay £1.25 per delivery. Our ratings are the result of an objective and independent evaluation of Abel & Cole, generating the final rating that reflects the overall quality of the company. Ratings may change as the service changes. Abel & Cole customer rating based on 5 customer reviews. In all these years I’ve been ordering, Abel & Cole never disappointed me. If you eat organic, there is no better place to shop. The veggies were dead when they arrived, but the support staff was ok about it and replaced my order without making a fuss. Ordered for the first time and it is love at first sight! For me, the only problem is that you are limited to 3 recipes per week. They should really let you order as many as you want. Abel & Cole is literally the only organic shop I trust and the recipes are wonderful. My warmest recommendation. We found 0 verified Abel & Cole discounts for April, 2019. There are no Abel & Cole coupons or discounts right now. If you like Abel & Cole but aren’t sure whether they are truly the ideal choice for you, you may want to take a look at our comparisons below to discover if one of their competitors is more suitable for you.